Obedience training is one of the best things you will ever do for yourself and for your dog. After attending our training classes, you will have a better understanding of your dog’s behavior and how they learn. Training will also help to develop a stronger bond and mutual respect between you and your dog. Ages 8 weeks to 6 months. This class is as much for the owners understanding as it is for the dogs learning. We use a positive food lure method of training to teach the obedience commands, using their instinctive food drive. 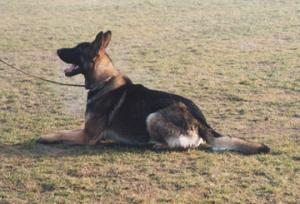 We will be covering the Obedience commands Heel, Sit, Stay, Come, Down and Stand. We will also go over all behavioral problems helping you to understand them, as well as actual techniques to prevent these problems from happening again. This method of training has proven to produce positive results in both the dogs performance as well as a spirited attitude. 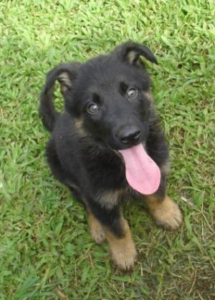 Basic Obedience is the next level of training we offer starting at approximately 6 months of age and up. Keep in mind it is never to late to train your dog! We have worked with dogs as old as 9 years with very good results. We will cover all behavioral problems specifically related to each individual dog. Owners will have a clear understanding about behavioral problems and how to prevent it. The basic obedience commands Heel, Sit, Stay, Come, Finish Heel, Down will be covered. We work outdoors in a large open training field but also have a covered area if it decides to rain. Bring rain gear, tennis shoes and water for your dogs. We provide a full supply of quality training equipment at a very good price. The transition from on to off leash work has always been a difficult task for many trainers. We will show you how to make that transition a smooth one. In this class we will be covering all the commands learned in the Basic Obedience class, only off leash. Concentration will be on both focus and distance work. A few additional commands and refinements to those already learned are also incorporated. Each dog’s performance will be refined by utilizing various levels of distraction. 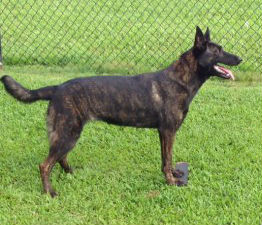 Each dog is individually evaluated and progressed according to his or her performance in each class. 2 Place Boards. Mats to lay on the top of the boards are also suggested, although not mandatory. High value food treats, i.e., pieces of hot dog, cheese, or other special food for rewarding correct behavior.